Size: approx. 130 mm. Photo: 02/09/18, noon. Rather loud for such a small bird and again difficult to get a good photo. 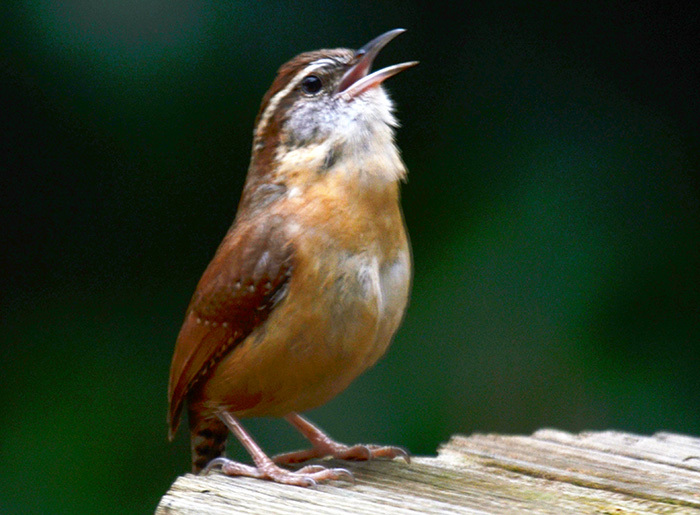 Wikipedia states that "Carolina wrens are wary, and are more often heard than seen." They have a song repertoire of at least 20 different phrase patterns and on average, 32. Males can increase their repertoire by learning, but the song learning must occur within the first three months of life. Our Florida version of this bird is larger and stouter than those up north, a darker rusty chestnut above and more deeply colored below.